The holidays are over and it's time to get back in the game, which means making healthier choices and working out. Today I want to show you how my diet has shifted from the greasy and delicious holiday mode to a healthier version. One thing that really helps me is to make soups for lunch. If you're the kind of person who gets bored easily and needs to have a different dish every day, you could cook 3 different soups that you really love and freeze them in portions. This way you have 3 soups or as many as you want on rotation. Or if you don't want to fuss with that, simply change the soup a little: on the first day have it plain, on the next with whole wheat or brown rice noodles, on the third with falafel and so on. Choose ingredients that you like and are somewhat healthy. For dinner try something new and have fun with it, make your dish as colourful as possible with loads of veggies. Try the 80/20 rule, where you eat 80 percent of the time healthy and 20 percent naughty. I don't think you should deprive yourself from sweets or pizza or pasta, just have them in moderation and whatever you choose don't starve yourself. Hope some of my dishes inspire you to cook something new. Broccoli soup with mini falafel. Grilled chicken with baby spinach salad. 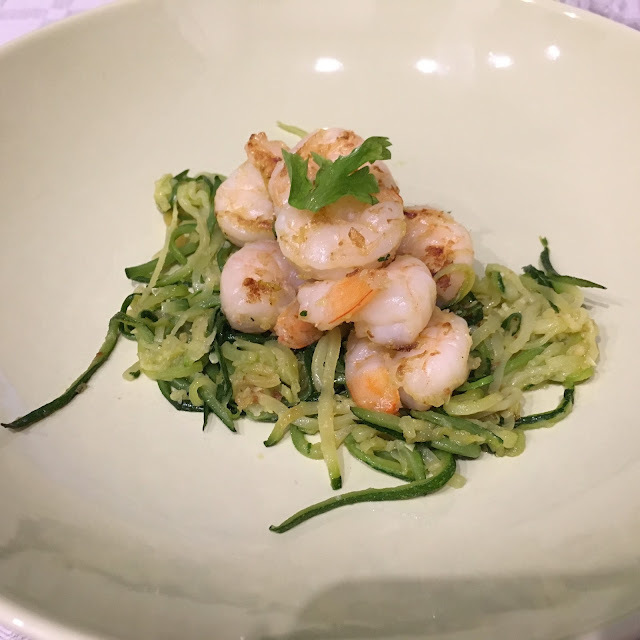 Zucchini Noodles with shrimp and garlic. 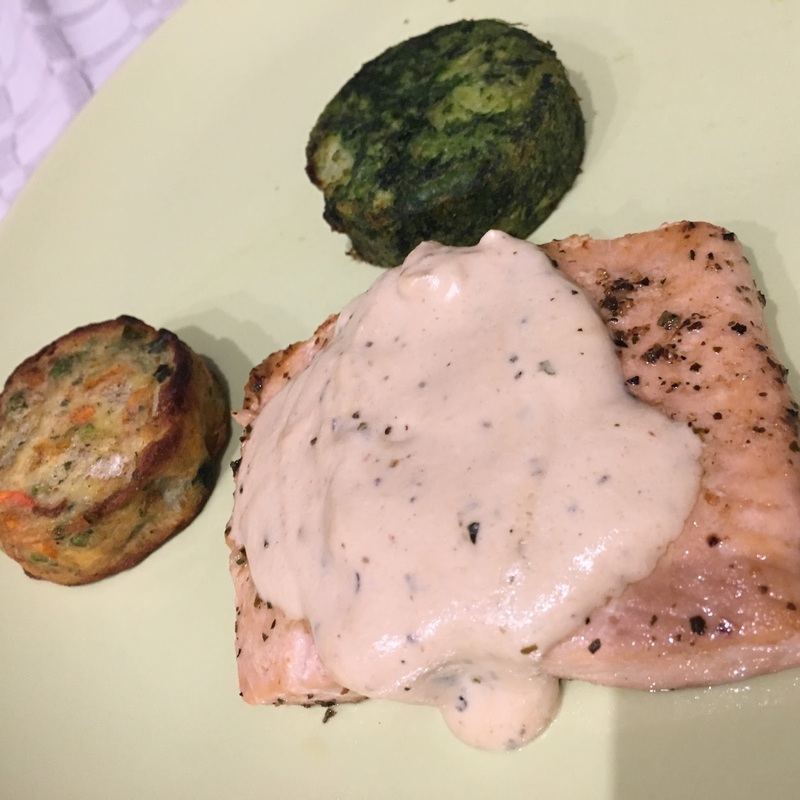 Oven baked salmon with veggies on the side. 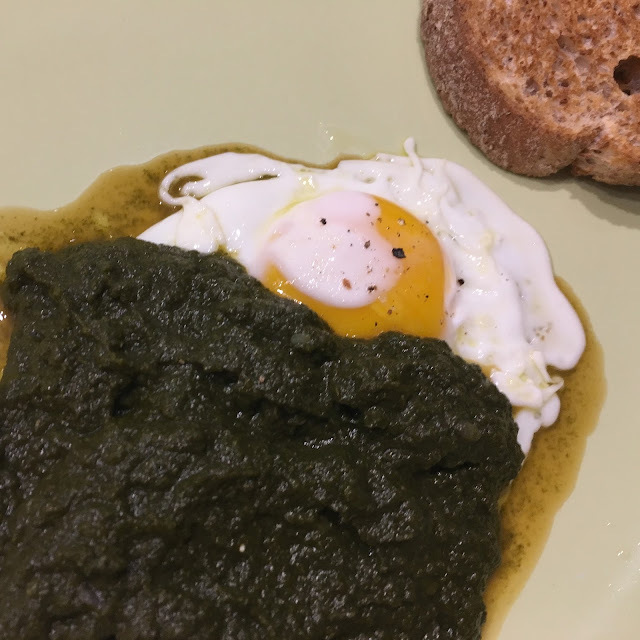 Spinach with an egg and whole wheat bread. Cocos chicken with rucola salad. These dishes look all so yummy and they are a healthy choice, well done ! I follow the 80/20 rule as well and it's the best option to keep thin and in good health ! Wow, some great ideas, thank you! Love the look of the salad and chicken!! These dishes look so delicious and super healthy! Would love to try the broccoli soup! I love making soups during the winter months, they are the perfect way to stay warm. That broccoli soup looks delicious! Omg, this must be sooo tasty! Delicious dishes!! Love the soup in the winter. Serious food envy! That salmon looks amazing! Some lovely meal ideas there - after looking at your gorgeous pictures my tummy is definitely rumbling! Your dishes look so good, I'm with you on getting back on track with eating healthy! Honestly all of these look super delicious, especially the shrimp with zucchini noodles! Great healthy ideas! I'm working on eating better this year. Thanks for sharing these tips and meals! Oh, I need you to come cook for me ahaha...you make healthy eating look so easy and delicious! Thank you for the motivation to stay on the healthy lifestyle track! Great inspo I'll deff try that rule! Ugh I definitely need to get back into the game! I spoiled myself over the holiday! Soups for lunch is a wonderful idea! I love cooking a big batch of soup that you can heat up all week!! ugh this is tough to do and although I try and each healthy as often, I always end up somehow binging on a bunch of treats.. Hopefully I can work on this a bit more this year. The cooked spinach with egg looks really good! My mom use to cook spinach for me when I was younger and hated it but LOVE it so much now. I'm going to try this! Qué aspecto tan delicioso y apetecible!!! Aside from how healthy they look, they look super yummy!! I've also started focusing on a clean diet. The broccoli soup and falafel look amazing. I've not tried making falafels at home but I'll have to try my hand at it! Nice post! I love soups too! It's delicious and easy to cook. everything looks good and really healthy! I really need to be more healthy too!